For many patients, there is a high risk of injury resulting from limbs becoming caught in the side rails of a bed. 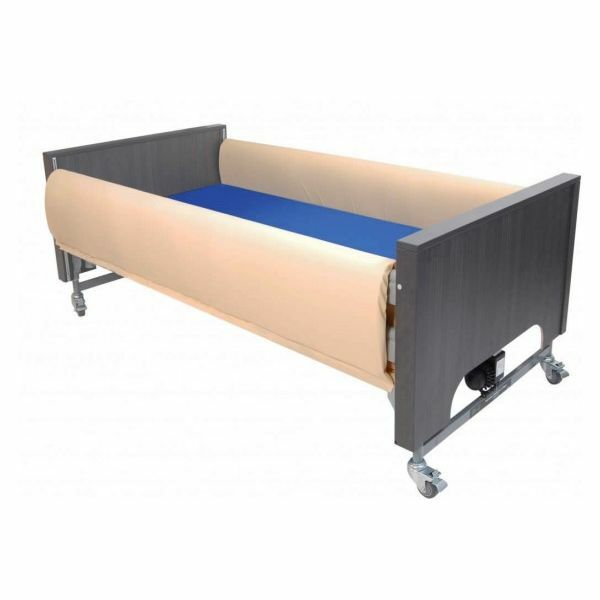 The Harvest Folding Side Rail Bumpers (350 x 1525mm) are designed to prevent this, protecting a patient's limbs from getting caught within the bed rails and softening any impact between body and rail. Equipped with foam filled inners, these folding bumpers offer great patient protection at a very reasonable price. The Harvest Folding Side Rail Bumpers are supplied with a two-way stretch vapour-permeable cover, which allows them to breathe while protecting them from any spillages or urine.